Tata Motors is on a launch spree, after launching two hatchbacks it's now time to focus on the SUV. 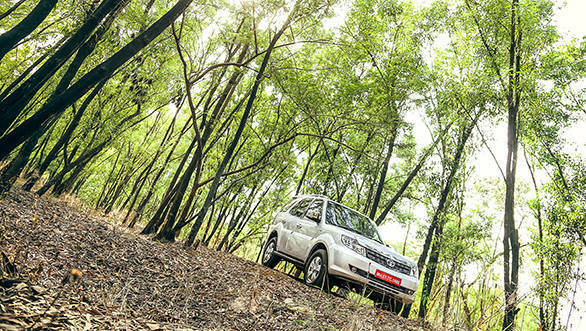 The Tata Safari, India's original SUV has been around for the longest time. The first version dates back to 1998. The indigenously developed vehicle survived 14 years without a generation change. But then the new generation Safari Storme finally rolled out in 2012. 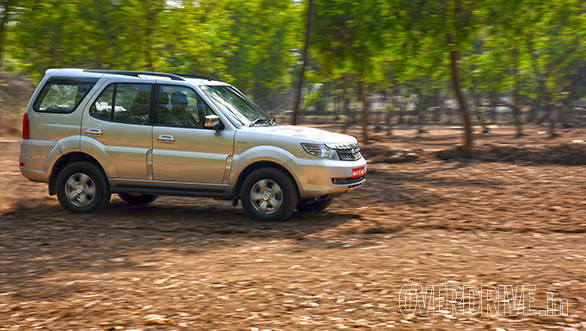 A lot of eagerly awaiting people including us expected Tata Motors to miraculously transform the Safari into a modern SUV and expected it to be all-new. Well the chassis and powertrain were modern but the body was still retained with few changes, the silhouette was still very much the same. This in the eye of the common-man was still the first generation Safari that probably went through a facelift. 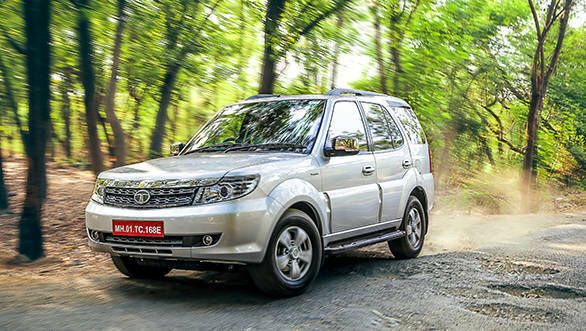 Look at the refreshed Tata Safari Storme now and it seems like the same story. So what has changed? 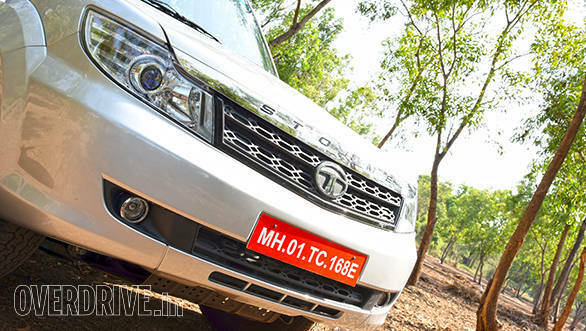 While the previous Tata Safari Storme featured a similar nose, the new model gets a revised front grille that's blacked out and looks a lot better. You really can't make out the difference at first but it is a new design too. Move to the sides and you will notice that the fenders now have Varicor badging too. There's nothing else that's different on the outside when compared to the previous Storme (a prime reason why we couldn't spot anything new on the updated Storme while it was being tested by the company). But step inside and there are a few changes made to the dash. 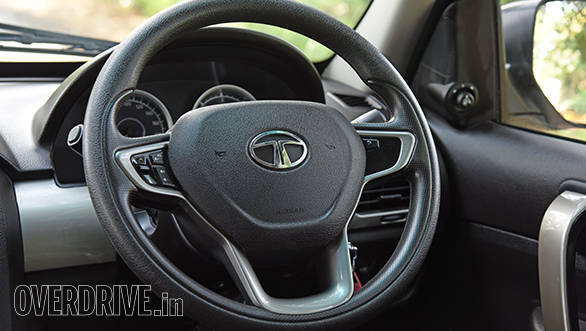 The first thing that catches the eye is the new steering wheel. It's the same unit from the Tata Bolt/Zest. The modern design wheel may look out of place when compared to the rather staid design of the interior but it feels good to grip. It is smaller too but is now sized just right. The position has also changed and it is more car like. The steering controls are easily accessible and are much better to use compared to the older unit that featured stalk controls. Other changes are the repositioned 4x4 control knob, it now moves to the centre console ahead of the gear lever. 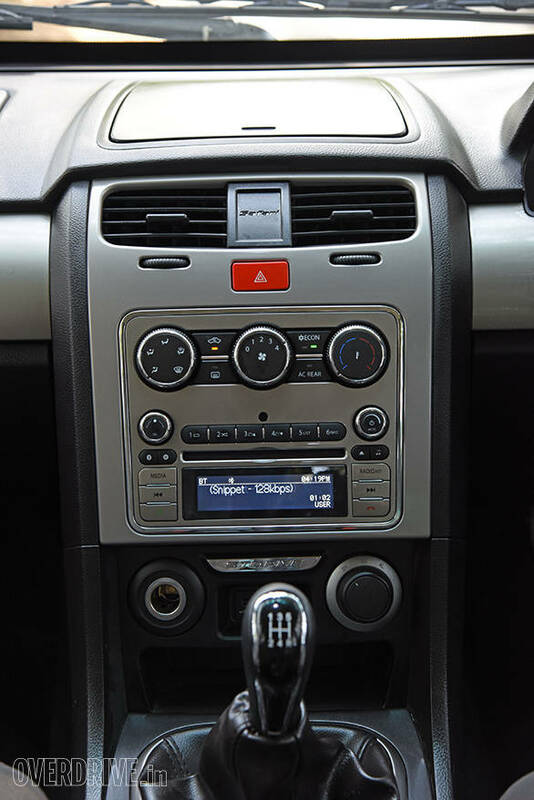 The Harman stereo is new and features better Bluetooth connectivity. However, it isn't a touch screen unit with integrated navigation like on the Bolt or even the new Scorpio for that matter. 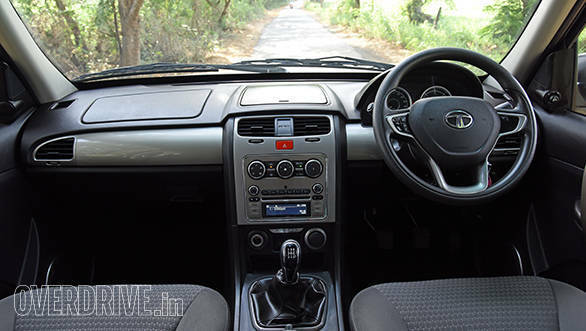 The stereo also features a reverse sensor graphic and gone is the rear-view camera from before (remember the Safari was the first India-made product to offer it). The interior trim is also new, there are more silver elements around the dash instead of the previous faux-wood theme. Has power gone up? 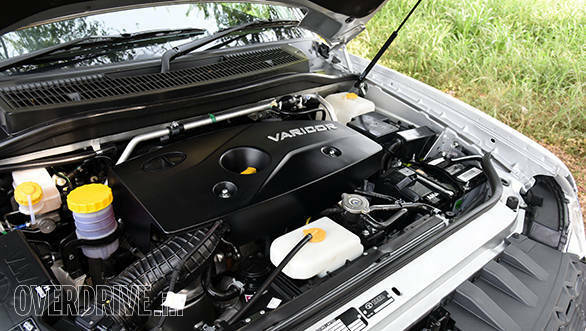 Yes, the Varicor motor gets a new tune like the revised Tata Aria. This means that power has bumped up from 140PS to 150PS. Peak torque of 320Nm remains the same though. The engine feels a lot more linear and is quite refined too. Despite weighing more than 2 tonnes, the Storme feels quite eager on the move. It is quicker too, the SUV now takes 15s to hit 100kmph, almost a second quicker than the older Storme. The quarter mile is crossed in under 20s making it the quickest Safari yet. The gearbox is the same five speed unit but a larger 260mm diameter clutch has been used. The gear shifts have improved, shifting at higher speeds is a lot more positive now. We aren't aware of the claimed fuel efficiency but in our tests, the figure has gone up. Overall fuel efficiency has gone up from 13.6kmpl to 14kmpl (in 2WD mode). The total range has increased considerably, not only is the efficiency better, the fuel tank has grown in size too (up from 53-litres to 63). 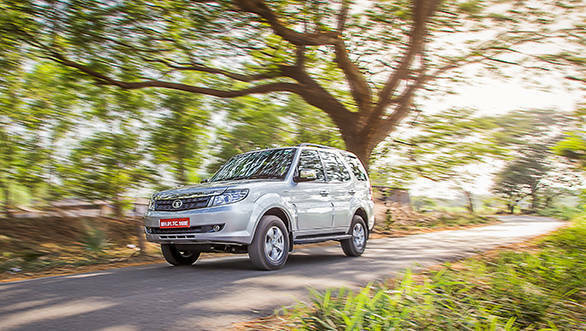 Tata Motors have continued to update the Safari and this is a good sign considering stiff competition, the brand name still has a lot of potential. An all-new SUV that follows Tata Motors' four pillars, part of their HORIZONEXT strategy will certainly help it stand up against rivals.